"Covering all periods from prehistory to the 20th century, each issue is packed with the latest news, in-depth features and much more. 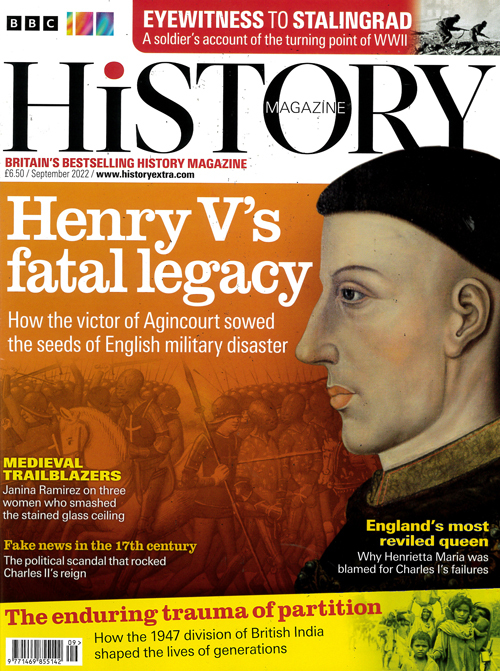 BBC History Magazine is Britain´s best-selling history magazine, helping you bring Britain´s and the world´s rich past to life. Each issue provides you with accessible and informative features from leading academic historians. Covering an extensive range of periods, we uncover history, British and worldwide, from prehistory to the 20th century, with the help of a 25-strong advisory board of leading historians, including Professor Simon Schama, Laurence Rees and Professor Ian Kershaw. " Published in English - Monthly. Allow 6-10 weeks for initial delivery.